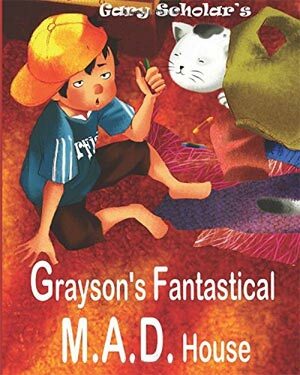 The entire Grayson’s Fantastical Series of 9 books are hilarious laugh-out-loud adventures of 11 year old Grayson and his smart aleck cat Scooper. They are truly Fantastical! Each book is filled with the inspiring message of love and hope. 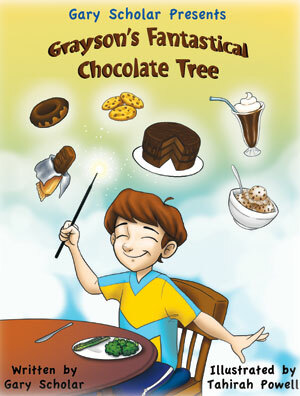 They tickle the imagination and create a magical reading experience that helps the reader believe anything’s possible! I highly recommend all 40 bapbooks that the author Gary Scholar has written. This story is outrageously funny and imaginative of an eleven year old boy who enters a nationwide contest to design a M.A.D. (Making A Difference) House. Grayson’s relationship with his smart aleck cat, Scooper, will give you loads of laughs and will inspire you to use your own imagination. 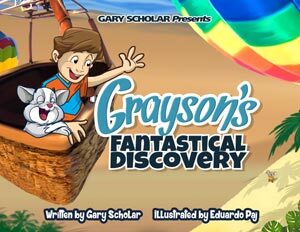 Grayson and his smart-aleck cat Scooper follow a treasure map to discover Hope. The journey takes them into uncharted waters to discover the unexpected and true meaning of Hope. 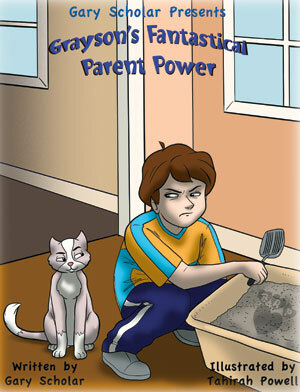 Grayson is frustrated that he feels that his parents have all the power. Scooper helps him magically change into a parent of his own mom and dad. It is a hilarious story that shows it’s not always greener on the other side of the grass. Grayson Whipperdash is determined to build a time machine to go back to the past and change the events that caused the passing of his beloved Grandpa. He takes his smart aleck cat Scooper on the fantastical journey of their lives. This is a heartfelt story that will keep on the edge of your seats with suspense. 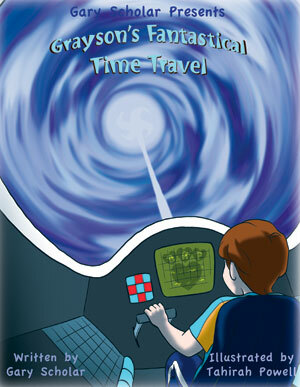 "I like that the story shows how Grayson and his smart aleck cat Scooper used their imagination to build a time machine. I also think it was great that they built it to save Grayson’s grandpa." 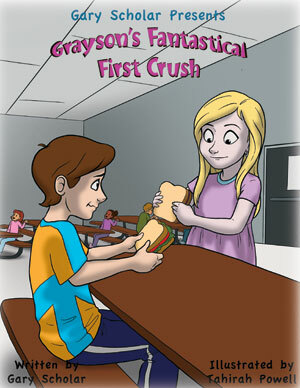 Grayson Whipperdash is experiencing his very first crush. He likes Libby Labby but has no idea how to deal with his feelings. Luckily, Grayson’s smart aleck cat Scooper gives him five Crush Lessons to win the heart of Libby. This hilarious and warm hearted story reminds us all how delicate our hearts can be when it comes to love. One day at school Grayson learned about the Presidents of the United States and the fascinating political process. 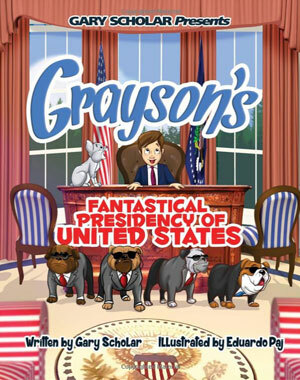 Grayson wondered what if he ran for President of the United States and won. Could he use the power of the presidency to make people’s lives better? So he ran for President of the United States with his smart aleck cat Scooper as his running mate for vice president and unbelievably he won! 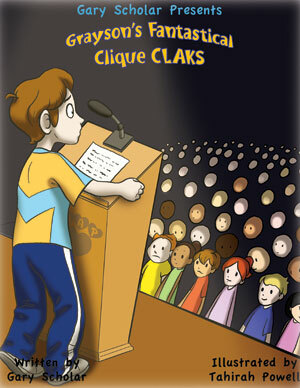 Find out what happens in this funny and charming story of Grayson becoming a President and Scooper his Vice President. Grayson realizes as a child that he doesn’t possess power over anything in his life. His parents and his teachers possess the real power. Until, one day he discovers a mysterious, magical book with his smart- aleck cat, Scooper. The magical book grants one superpower to whoever discovers the book. 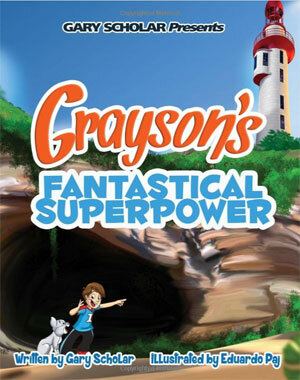 Find out what superpower Grayson chooses and how he uses it for the good of all pets and people. Grayson is crazy over the moon for chocolate desserts. But, since chocolate is harmful to his smart- aleck cat, Scooper, Grayson decides to create a new, safe, and delicious tasting chocolate that Scooper can enjoy too. The hilarious and unexpected result turns bitterness into a sweet delight for people all over the world. Grayson decides to run for class president of his school so that he can transform the cliques that cause hurt feelings among some of the children and make them feel like outcasts. Scooper, his smart- aleck cat, helps him realize his goal in a very surprising way.